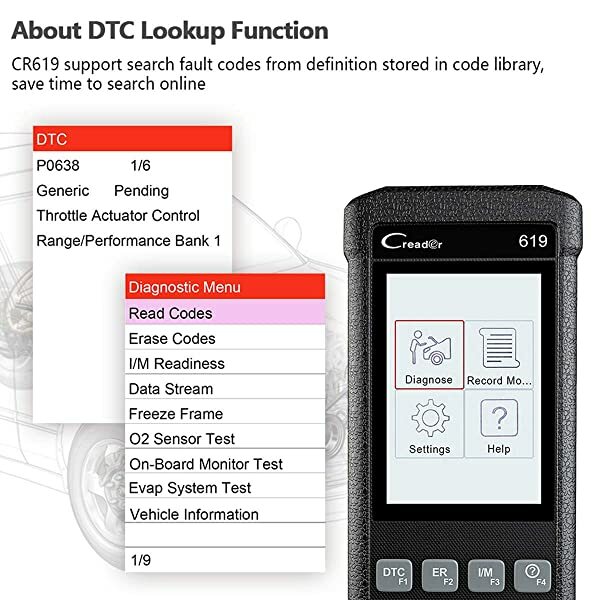 Launch CR619 is a multipurpose obd2 scan tool that can help diagnose faults in your vehicle. It can read/clear engine codes, perform the EVAP test, and check the integrity of the fuel system. With Launch Creader CR619, you’ll be able to read ABS and airbag codes for more than 46 car makes. These two features can be used in all 1996 or newer OBDII compliant models. Looking at the advanced features it offers, it’s obvious that this scanner is meant for professionals and mechanics. However, those interested in learning more about their car can also try this scanner. 3 Who Should Take it? Launch CR619 looks stylish and is also quite easy to use. It’s light in weight hence highly portable. The device has a 4” TFT color display that makes it easy to read what’s on screen. It consists of 4 hotkeys for quick functions and added convenience. Launch CR619 looks stylish and is also quite easy to use. The anti-lock braking system (ABS) prevents tires from locking up when the brake is pulled. It helps keep tractive contact on the road, making the ride safer by avoiding skidding. However, it’s common to get errors in the ABS due to various reasons. The system blinks a light when the ABS does not work correctly. Luckily, Launch Creader CR619 can read ABS related trouble codes. It could be due to a bad wheel sensor, loose wiring, or a damaged fuse. This scanner can find the issue and provide you with the right fix. 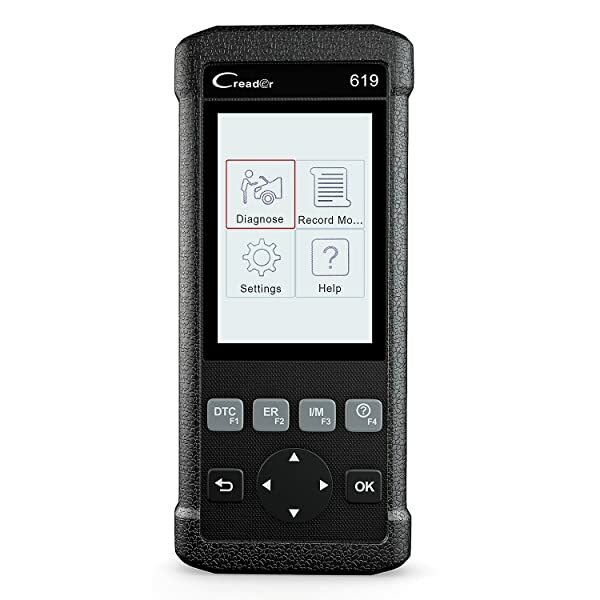 CR619 can read and erase SRS / Airbag codes in seconds. It can diagnose the system and display an error code to help you identify and solve problems. Some common problems include a poorly locked door, issues with the seatbelt. The scan tool can let you know what the problem is and help you determine the solution, too. You can get valuable information about your car including engine RPMs, ignition status, temperatures, air flow, speed, fuel status, etc. The results can help you determine the overall condition of your vehicle. You can record information by capturing data and sharing it with others, which gives you a ton of value when you want a second opinion. The diagnostic tool lets you read dynamic data streams and read/clear MIL-related codes. It can conduct an emission test to help you determine the condition of your ride. You can perform an EVAP test with this scan tool. This feature will help you determine the condition of the oxygen sensor. The scan tool can read all DTCs including pending codes. Moreover, the scanner has a built-in lookup library to help you understand error messages. You will not have to search online to understand what an issue is. You can request vehicle information using this feature. 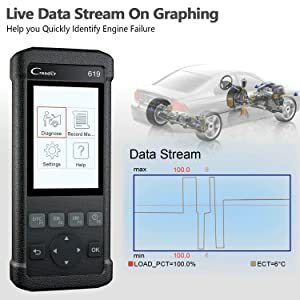 It also ensures you do not have to feed information and run tests manually everytime you connect the diagnostic tool to your car. Launch CR619 support search fault codes from definition stored, save time to search online. Launch Creader CR619 comes with lifetime free updates. You can connect the scanner to a computer with the help of a USB cable and download updates from the official website. It only takes a few minutes. Launch Creader CR619 supports all 1996, and newer US made vehicles including Ford, GM, and Chrysler. It also supports OBD2-compliant Asian vehicles manufactured between 2006-2016 and European ones made between 2003 and 2016. 1999, F250 7.3 super duty (ABS, transmission won’t work). Vehicles with 7.2 caterpillar engine or 2006 6.0 gas engine. Shows live data (coolant temperature, engine data). Lets you know the cause of misfires. Can show live data in a graphical form. It doesn’t support oil reset service. It cannot calibrate or relearn sensors like crankshaft. 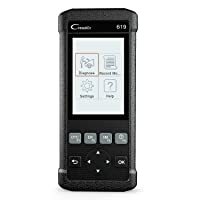 Launch CR619 lets you read and erase ABS/SRS related codes. Launch CR619 is designed for beginners, DIYers, and enthusiasts. 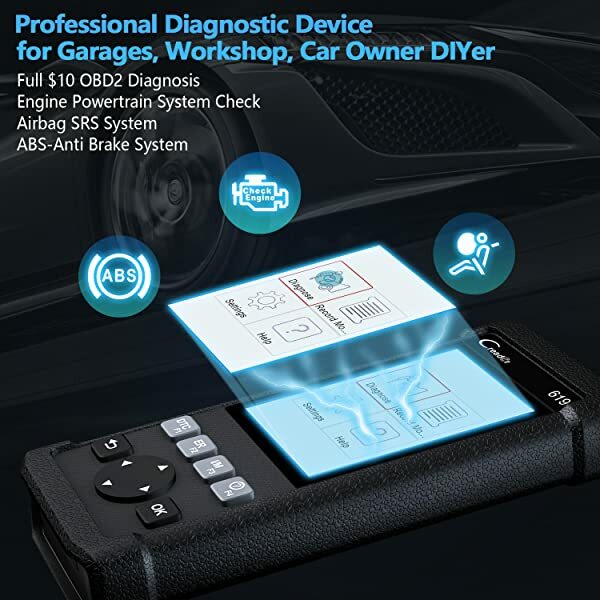 It might not offer advanced features, but it’s quite handy for car owners who want to diagnose minor faults and reduce trips to the mechanic. It’s an excellent tool for people who want to read and erase ABS/SRS related codes. Visit the official Launch website on your computer and click on Products. Download and install the update on your computer. 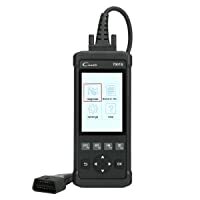 Now, connect the diagnostic tool to the computer with the help of the USB cable the automotive diagnose tool comes with. It will ask for the serial and register code of your scanner. Fill that in. Can I change the language from English to others? Yes, you can do it from the Language-Change section. Available options include Chinese, French, Japanese, Spanish, Russian and Portuguese. Is there a warranty on the scanner? The scanner comes with a 2-year warranty. Do I have to enter the make and model of the vehicle everytime I plug into a different one? No, you don’t have to. It can read vehicle information automatically. The Bottomline Launch Creader CR619 is simple to use and quite quick as well. It offers a bunch of essential features and some advanced tests as well including ABS, SRS, and EVAP.